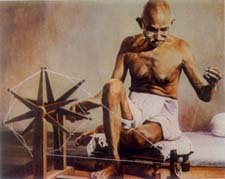 KNOW GANDHI QUIZ - Play monthly quiz and win prizes! Nana Chowk, Bombay - 400007, INDIA. Jalgaon, 425 001 (Maharashtra) India. Every month articles will be published on Relevance of Gandhian Philosophy today on various issues by well known authors. You are also invited to send articles. This site is awarded for the Person of Century at 10:12 a.m. on 10/8/02. This site is part of the Hague Appeal for Peace web-ring. 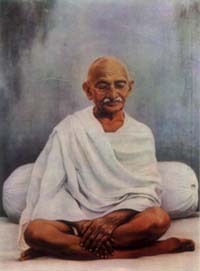 This Site is recommended by Time Magazines for complete information on Gandhi.